Office 365 came on the scene in 2013 and has already made a huge splash. O365 is Microsoft’s fastest growing product ever, with over 20 million users (Q2 2016). Compared to Google Apps, O365 is more popular with larger and more established companies (BetterCloud, 2015) – the exact type of companies that historically have relied on Microsoft Active Directory to serve as their centralized user directory. But any IT admin that has made the migration to O365 or tried to make Microsoft’s mixed-up mash-up of AD, Azure, and O365 work knows that there’s just got to be a better way. This article lays out two alternatives to Active Directory that are compatible with Office 365. OpenLDAP is the classic open-source AD alternative. Just like any other open-source tool, OpenLDAP is highly adaptable – and it can also be a mess that can only be untangled by the most technical mindset. We’ve laid-out some of the strengths and weaknesses of OpenLDAP here, but the short version is this: it’s better at managing Unix / Linux devices and technical applications than the more common Windows and Mac OS X machines. Cloud-based apps like Office 365 aren’t necessarily OpenLDAP forte either, but it is possible. You can use the LDAP Synchronization Connector tool to synchronize users between OpenLDAP and AD. But this tool does not allow for the password to by synced between the directories unless it is clear text, which is not very secure. Directory-as-a-Service® is essentially a next generation Active Directory on the cloud. Organizations are leveraging DaaS to extend AD to SaaS-apps or as a standalone directory, replacing AD altogether. 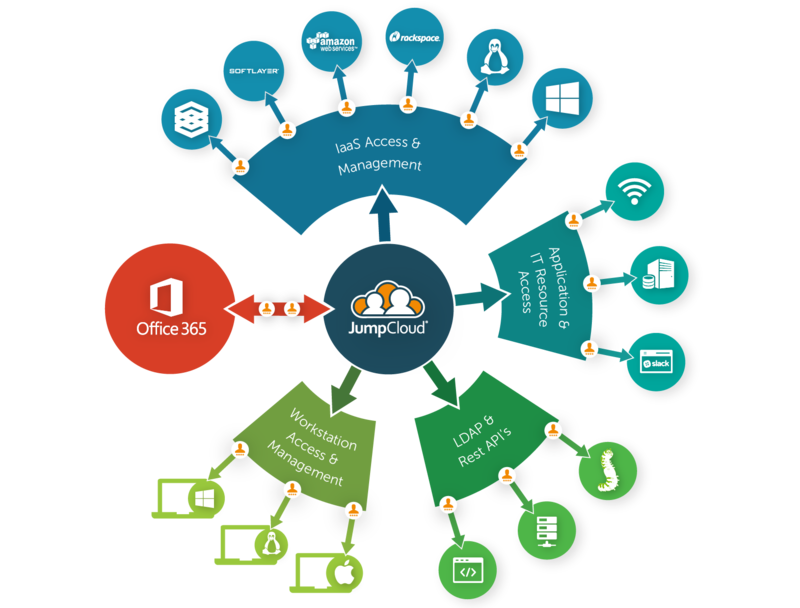 There had been no Directory-as-a-Service providers who fully supported Office 365 until JumpCloud announced our tight integration with Office 365 in Q2 2016. What does this mean? The end result is that Office 365 identities can be extended to systems, cloud infrastructure, WiFi, and even other apps. All of this is managed through one browser-based console. The setup process is easier than you may think. It starts with importing your existing O365 identities into JumpCloud and it’s pretty streamlined from there. Since it’s a cloud-based directory service, there are no cables to plug in, no servers to setup, and no maintenance. If you would like learn more of the specifics, check out this guide to user provisioning and sync or our FAQ for Office 365 integration. 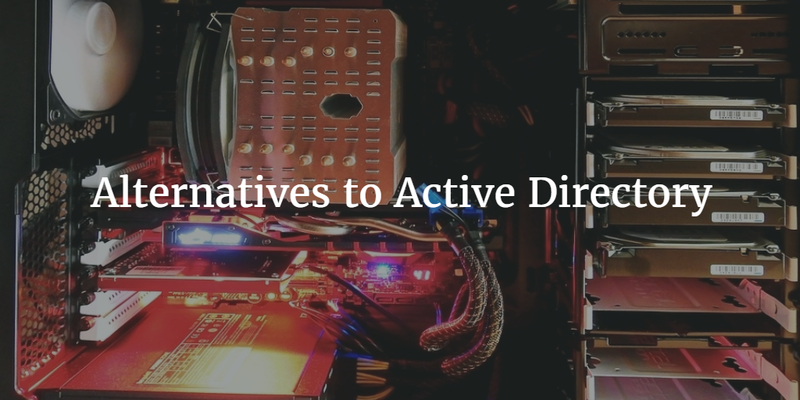 If you know of any other good alternatives to Active Directory that work well with Office 365, please let us know through our contact page and we would be happy to include them on this list. Obviously, we’re partial to Directory-as-a-Service, but we truly do believe that it is the best option moving forward for organizations that want to make the most out of Office 365. DaaS is the only way to centralize all of your identities, including O365 identities, and manage them easily across a wide variety of infrastructure and devices (including Windows, Mac OS X, and Linux devices). You can learn more about Directory-as-a-Service here.